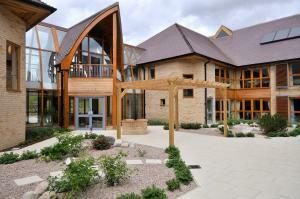 Anjulita Court is a 60 bed Elderly and Dementia Care Home in Bedford. It is situated in a key location on the way out of town, on the edge of a new housing development at the head of a tree-lined boulevard which leads on to the Country Park beyond. 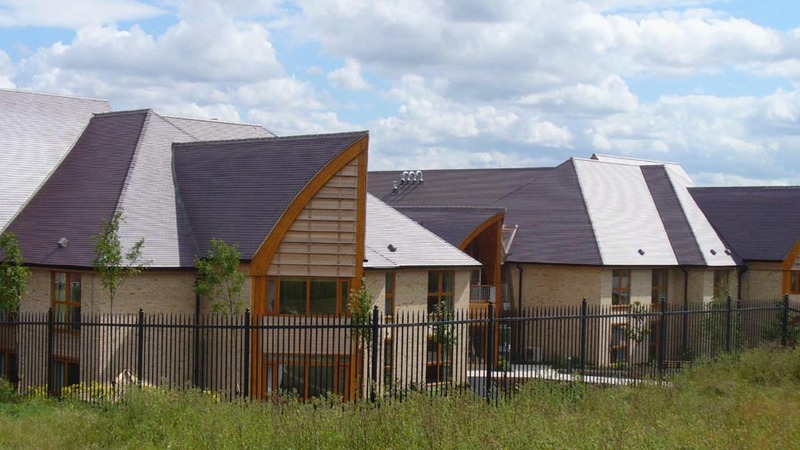 Architect Khosro Bashi at the Tooley Foster Partnership wanted to design the building as a landmark, but at the same time integrate the Care Home with the community. It was also important to him to minimize the environmental impact of the building and use British made products with the right sustainability credentials. The big arched entrance is a striking feature of the roof and it is designed to be seen as a gateway to the countryside as you head out of town and out towards the Country Park. The sheer scale of the roof and length of the rafters created a considerable challenge for Total Roofing Services. 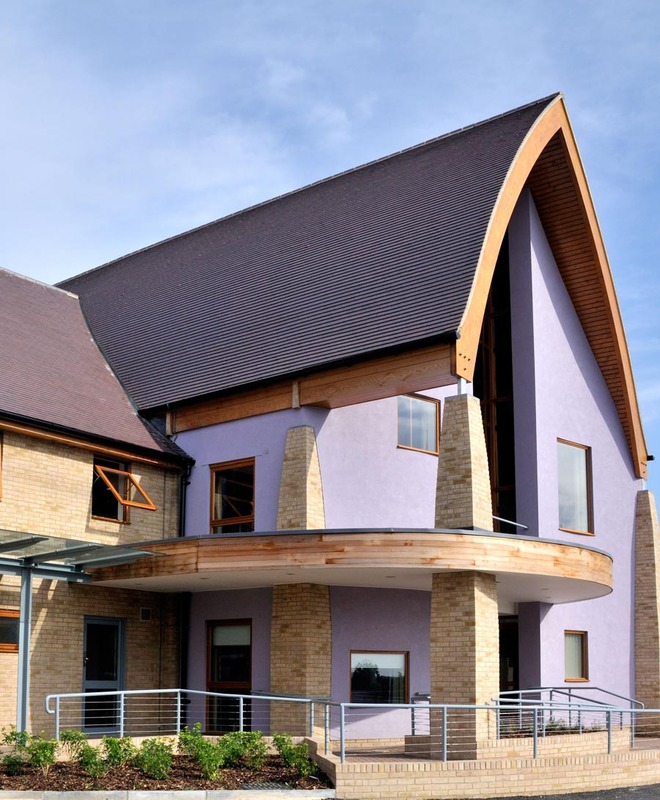 Anjulita Court was awarded the prestigious NFRC 2010 Award for Excellence in Roofing as well as the Pinders Healthcare Design Award 2010. The roofscape is stunning and it includes a variety of details including curved valleys and flared verges. This kind of detailing is only possible with a small format tile.